The prices of our products will be stipulated at all times on our website web. Although we try to ensure that all prices listed on our website are right but sometimes errors may occur. If we discover an error in the prices of our goods that you have ordered, we will inform to you as soon as possible and give you the option of reordering your order at the correct price or canceling it. If we are unable to contact you, the order shall be canceled and you will receive a full refund. We are not obligated to supply a product lower in price (even if we have sent the order acceptance), if the pricing error is obvious and unmistakeable and has been recognized in a reasonable manner. The prices on the website include VAT. Prices may change at any time, but changes will not affect orders in respect of which we have already sent an acceptance of your orders and your payment accordingly. It is offered as safe payment terms, bank transfer PAYPAL and VISA SSL. In either case, we do not store any data access identification of credit cards or bank details so that is confidentiality guaranteed. For payment with debit card, the charges will be in real time. 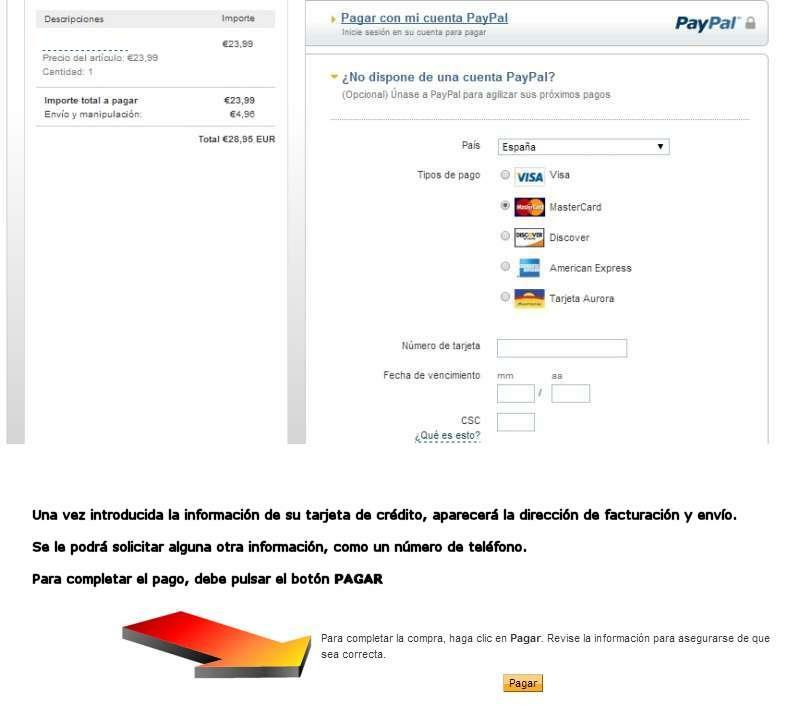 To pay with credit or debit card you need to use PayPal Direct Payment. (Optional) Join PayPal to expedite their next payment. Customers can make a transfer or a deposit without charges or commissions through our bank account at Barclays Bank. For security reasons the bank details will be sent via email with the attached order.